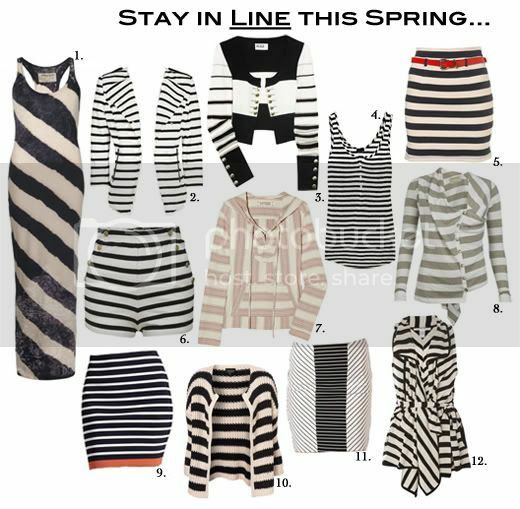 The Fab Chick: Are you in Line with Stripes for Spring? Whether bold, pencil thin, black, white or multi-colored, stripes have invaded not only the stores for spring but also my closet with a few pieces. Looks like I've gotten completely in line with this trend. Will you? Clearly stripes are a spring must-have print. Check out a few spring must-haves from myself and a few of my favorite Fab Chicks here. You're bound to see some stripe action going on. I've always had a thing for stripes. 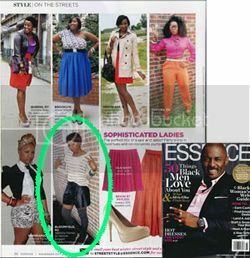 Typically, I go for striped blouses but I want to venture out and try a striped skirt. You've provided a great selection.